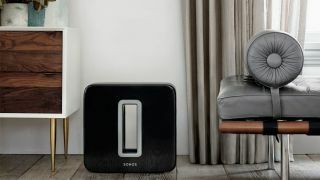 It was easy to dismiss the rumors that Sonos was planning on integrating Alexa, Amazon’s smart assistant, into its Play family of connected speakers. But, as it turns out, there were a lot more to those rumors than we thought: a recent FCC filing from the company shows the schematics for a smart speaker, one that could rival or even surpass the Apple HomePod, Google Home and Amazon Echo. The filing was discovered this morning by ZatzNotFunny, and it contains pretty much everything you’d expect from a high-powered smart speaker including a far-field microphone array and integrated voice controls for “multiple voice platforms and music services”. The multiple music service part is par for the course, but could Google Assistant, Siri, Cortana and Alexa all live on the same speaker in harmony? Looks like we’re going to find out. Honestly? If there was any company out there that could unite a divided smart assistant speaker world, Sonos is it. This is the company that happily supports Apple Music, Amazon Prime Music, Google Play Music and a half-dozen more inside the same Sonos app, so maybe it all makes sense. The device hasn’t been named by Sonos yet, but in the description for the patent it’s labeled as product model S13. The codename doesn't give us any idea of where it fits into Sonos' pre-existing line-up of speakers unfortunately. Should the news of this new speaker send shivers up Apple's spine? Considering that the speaker could launch right around the time the Apple HomePod hits shelves (December 2017 for those who forgot) the answer is yes. Yes it should.